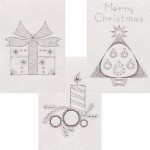 Sweet Delight – the subjects are a cupcake, an ice cream cone with flake and a Knickerbocker glory. 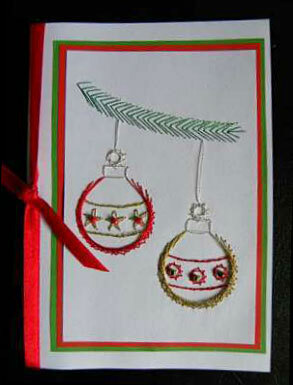 This week’s card is called Christmas baubles and was made by Must love cats. 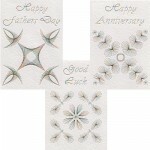 This lovely card was made using the baubles pattern from Form-A-Lines Christmas Set No. 9. 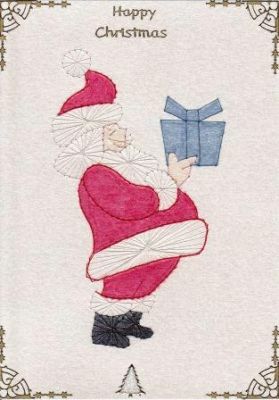 This week’s card is called Stitched Santa and was made by GillM. 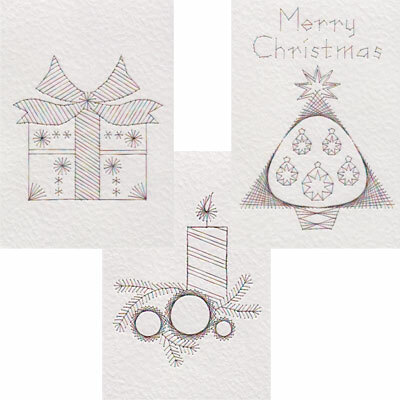 This attractive card was made using the Form-A-Lines Santa C14-1 Pattern. 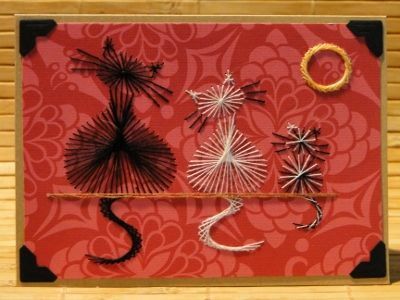 This week’s card is called Cats on a wall and was made by Adorise. 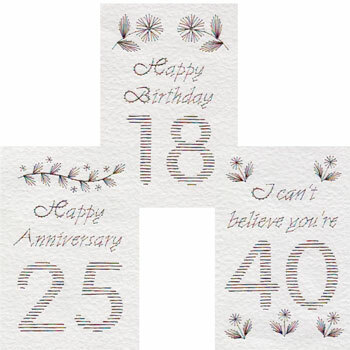 This colourful card was made using the Form-A-Lines Cats on a wall Pattern. 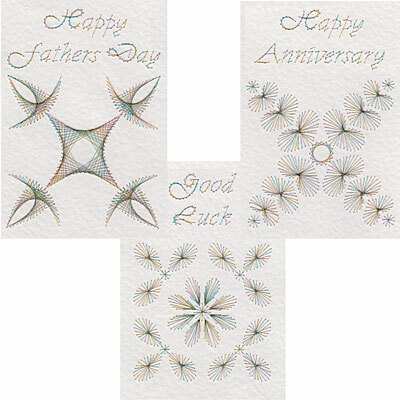 The father cat is stitched in black thread, the mother cat is stitched in white thread and the kitten is stitched in a clever combination of black and white threads. 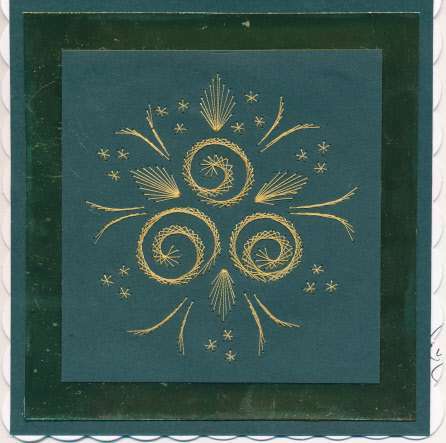 This week’s card is called Wedding card and was made by Liken. 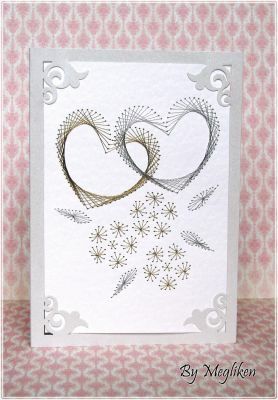 This beautiful card was made using the Form-A-Lines Wedding Hearts Pattern. 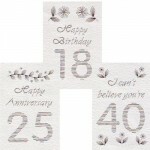 It is stitched in gold and silver thread on white card and framed with a silver cut-out border.